Michael and Sheila Herron from St. Patrick Parish in Malvern attend Mass in celebration of their 50th wedding anniversary. 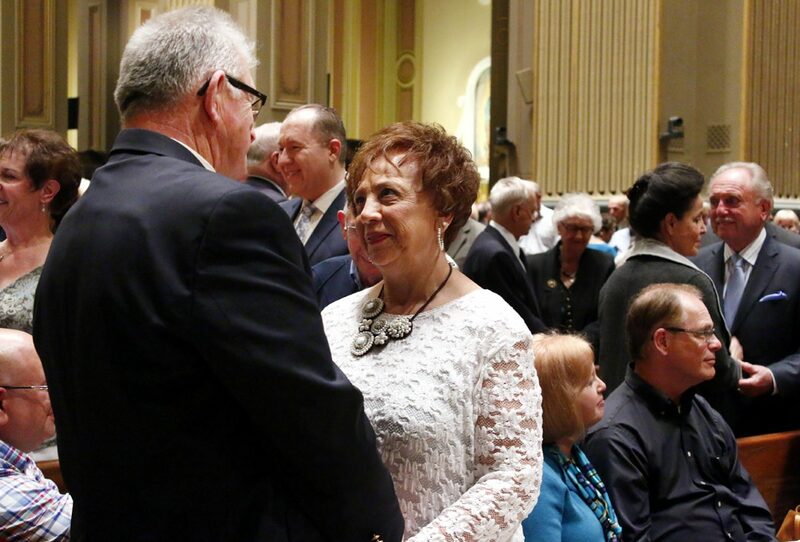 Marriage is a sacrament and a life-long commitment – that was the central message of Archbishop Charles Chaput in his homily at the annual Mass for couples celebrating significant wedding anniversaries held this year at the Cathedral Basilica of SS. Peter and Paul on Saturday evening, May 6. The congregation that the archbishop led in a renewal of their marriage vows was in itself proof positive that the Christian understanding of marriage is an ideal that is not dead. 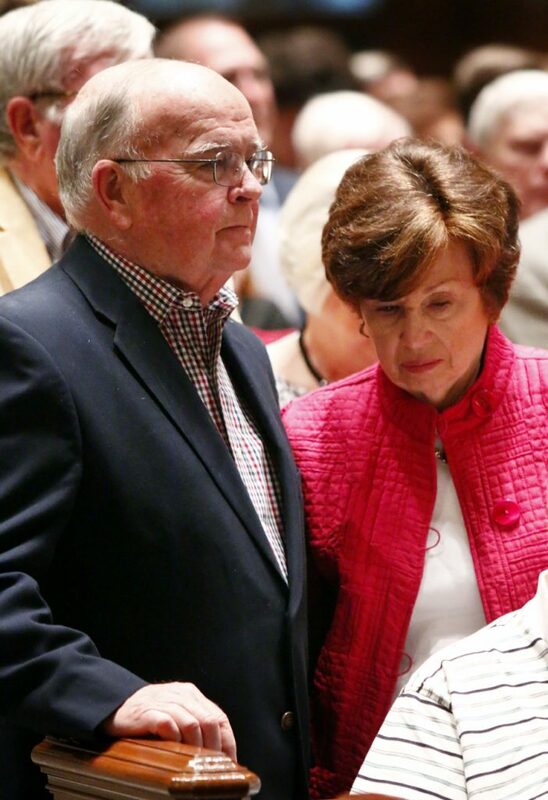 The cathedral was packed, and most of the couples who stood to repeat their vows were married 50 years or more. What is the secret of an enduring marriage? Responses given by couples to this question were surprisingly similar. “The secret is listening to each other,” said Jerry Plewes, of St. Cecilia Parish in the city’s Fox Chase section, married to his wife Mary for 65 years. 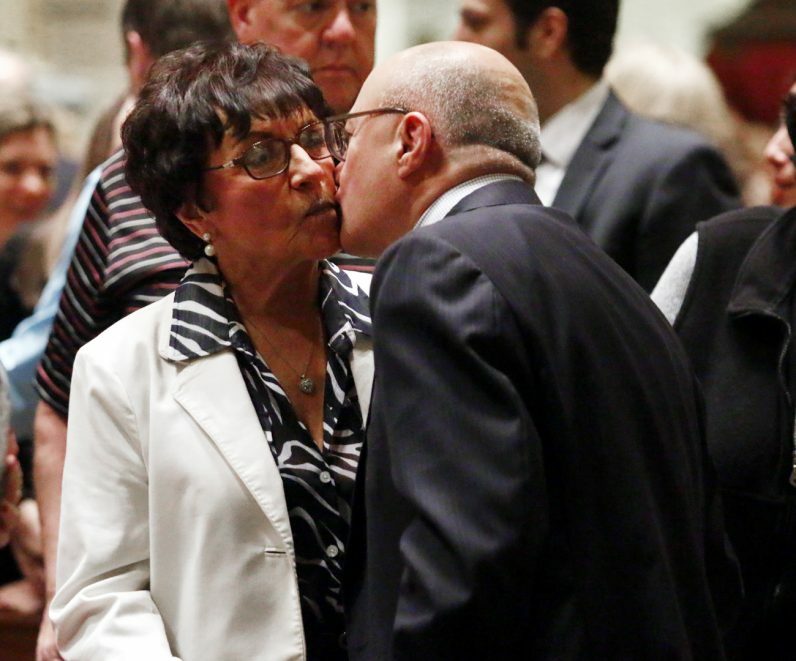 Brenda and Ed Lewis, married 25 years, offer one another a kiss as a sign of peace. “We married our best friend,” Diane added. Patience, prayer, compromise and commitment — add them all together and you get enduring love.